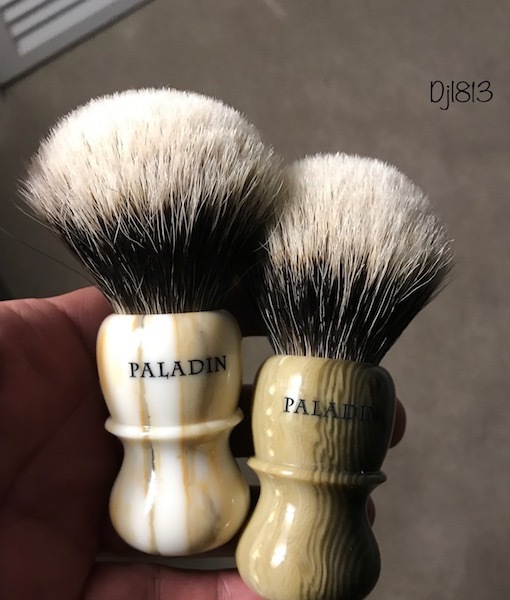 I own two Paladin Chief brushes with 26mm knot. One in butterscotch marble (on left) and another in horn. 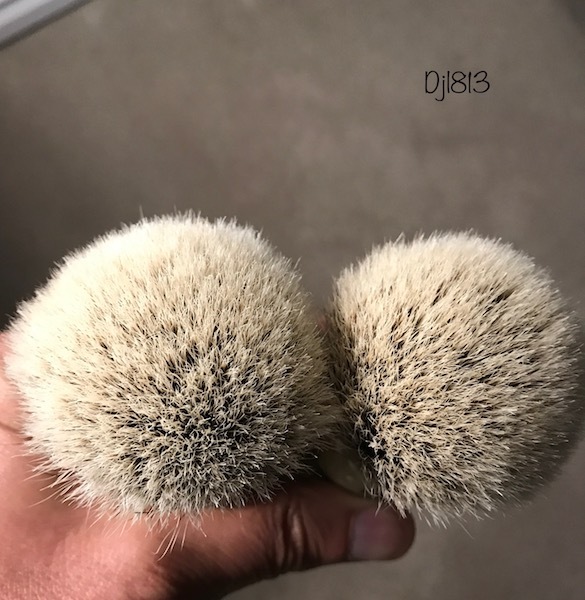 Both in like new condition and used maybe 3x. 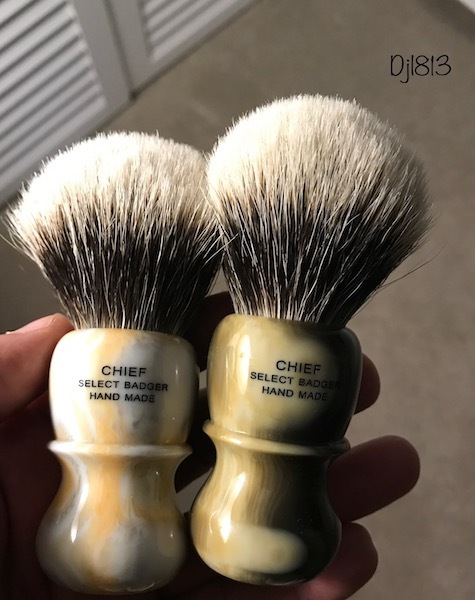 Just own too many brushes and was lucky enough to recently acquire a Wiborg so willing to let one or both of them go. Sale Price: $168 each or $320 for both which includes PayPal fees and FREE USPS Priority Mail shipping (domestic only). Includes original tube and card. Let me know if interested or have any questions.